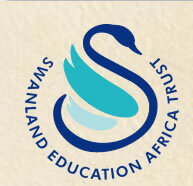 Introduction: Well here we are back in the UK after our 2011 visit to Swanland School Nairobi. We had a great time showing Richard, Carole and Brian around the school. 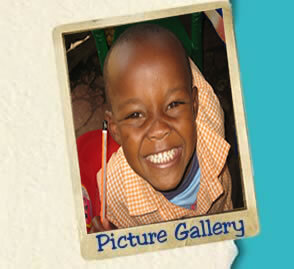 Well here we are back in the UK after our 2011 visit to Swanland School Nairobi. We had a great time showing Richard, Carole and Brian around the school. Our visitors enjoyed meeting Pastor Hudson & the children who are so grateful and hopeful. They agreed that Swanland School is a real oasis in the middle of such dreadful living conditions. The school is surrounded by rubbish and sewage but inside the compound there are trees and flowers. Many thanks for all of you who sent gifts - jumpers, socks, soap etc were all gratefully received. The school is doing OK but is really struggling for funds. We send just £3,000 each month and this is just enough to pay the teachers and buy some food. There are 35 staff at the school - 20 teachers and 15 others. There is very little money left for anything else. The whole place is looking very tatty as there have been no repairs in the last year. We have asked PH to find and employ a Caretaker /Handyman to carry out some of the much needed repairs. The pupils & staff are very grateful to get food at the school but they have the same thing every day - Ugali and cabbage. The school has been struggling for water over the last year mainly due to drought. They only get water twice a week and the pupils were complaining that they are wasting too much time carrying water. We really need to buy them another water storage tank as one of the big ones has split. We bought them a small tank and had some plumbing and electrical work done while we were there so that the children will be able to wash their hands when they have used the toilet. Richard is well travelled in Africa and could confirm the school would win the prize for the worst toilets he has ever seen. They are really dangerous - 4 children fell in last year. Unfortunately the school needs to have them as a back up for when the other proper ones cannot be flushed due to lack of water. Pastor Hudson's and the boarders accommodation is all very run down and is in desperate need of a paint and TLC. Some of the walls, doors and floors are badly damaged and need repairing. The mattresses on the bunk beds are awful - they are all in pieces and the children have to share beds. We used some donated money to buy a few mattresses while we were there but this was just a drop in the ocean. They also need some new bunk beds so that the children can have a bed each. Carole & Brian spent two days in the Library helping the Primary School Head teacher organise books & papers. Good progress was made but there is still a lot to do. The main problem is that the shelves are sagging badly and so it is difficult to arrange the books on them.